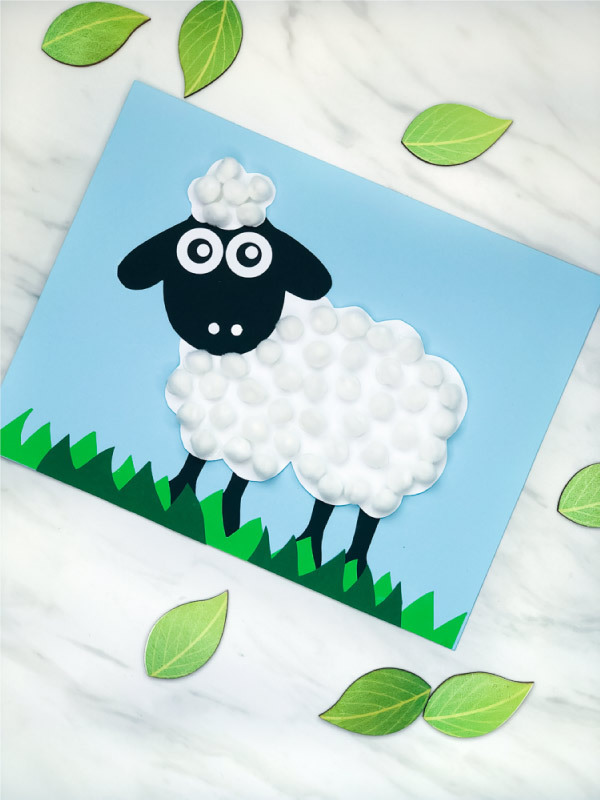 Inside: Make this cute and easy sheep craft for spring, Easter or for farm unit studies. Spring is in the air and that means it’s almost time for Easter! There are so many awesome things to celebrate in the spring, but Easter is definitely one of our favorite around here. 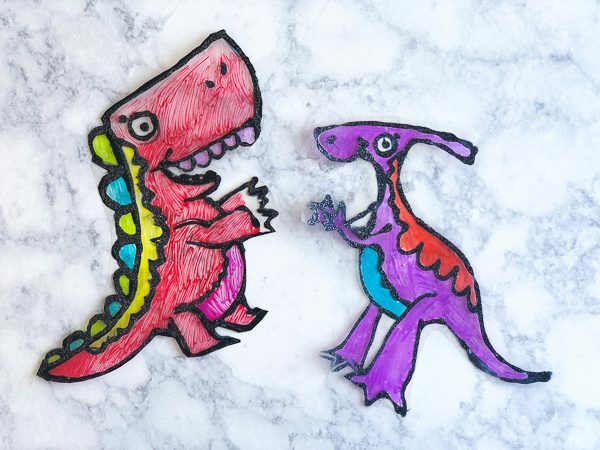 In the past, we’ve made several easy kids crafts for Easter including these DIY Minion Easter Eggs, this handprint bunny craft for kids and these Disney Easter egg decorating ideas. 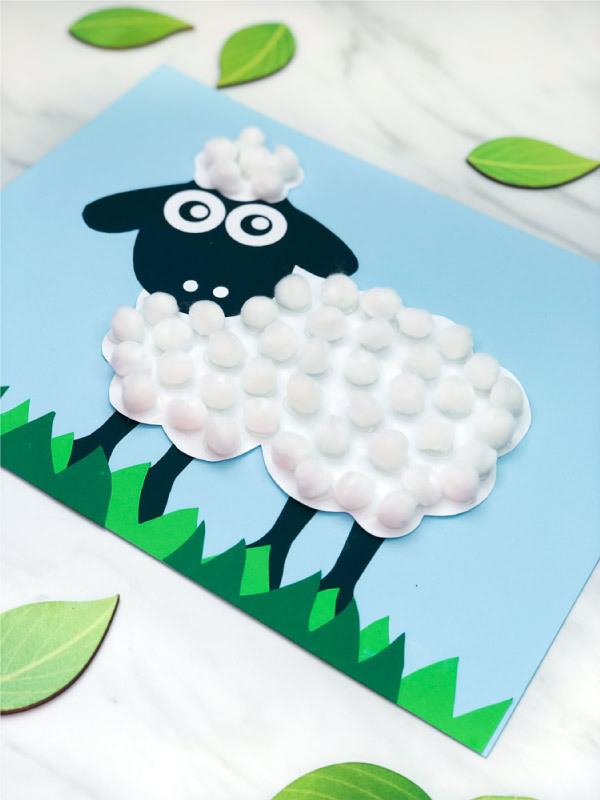 Today, we’re sharing this super simple and ultra cute sheep craft for kids. 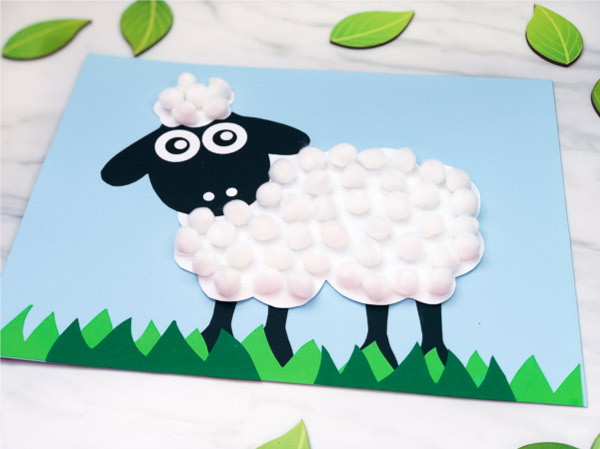 Download the sheep template and print out the pages on the corresponding colored card stock. Cut out the pieces you need. Assemble the sheep’s head by gluing the eyes towards the top of the sheep’s head. Using a standard hole punch, cut out two small hole from the white card stock to use as the sheep’s nostrils. 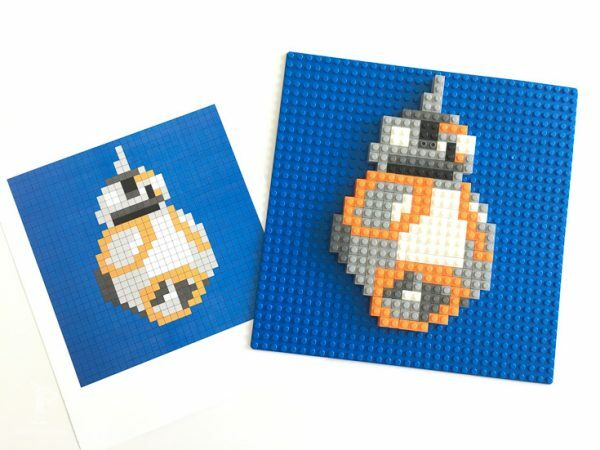 Glue these toward the bottom of the sheep’s face. Glue the small white fluff to the top of the sheep’s head. 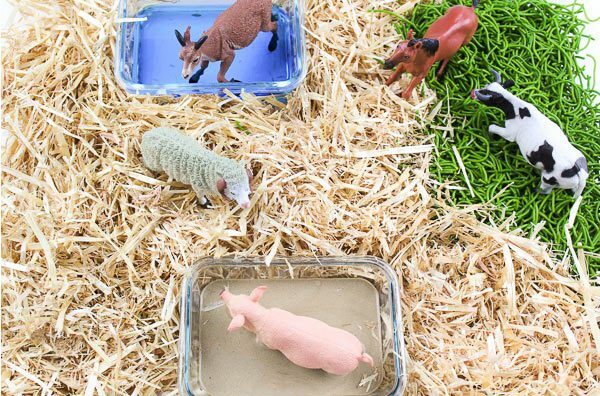 Assemble the sheep’s body by gluing the four black legs behind the sheep’s body. Glue the assembled head onto the white body. 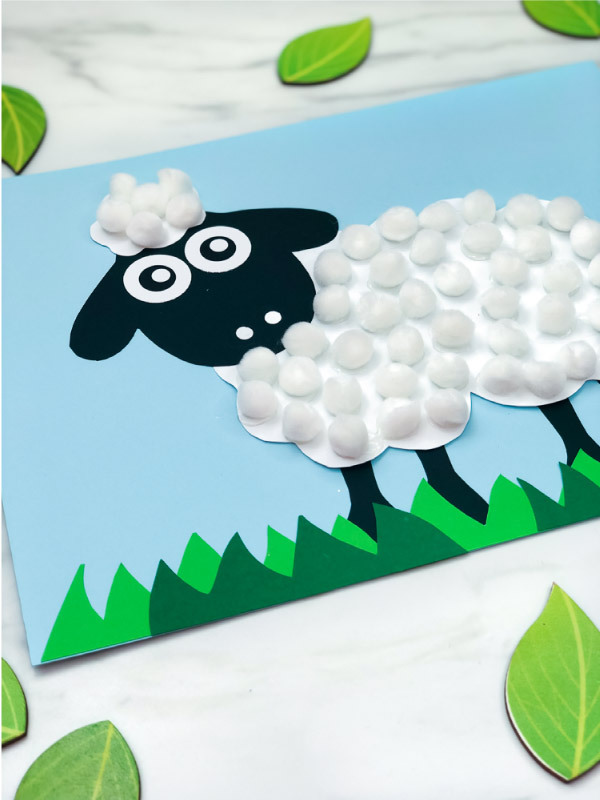 Glue the sheep onto the sky blue card stock, with the feet almost touching the bottom of the paper. Cut out strips of grass from light and dark green card stock, then glue them on the bottom of the sky blue paper, on top of the sheep’s legs. Using the craft bond glue, make small dabs of glue on the sheep’s body and head fluff and then place the white pom poms on top of each dab. Repeat gluing the pom poms on the white parts of the sheep until you’ve glued them all over. 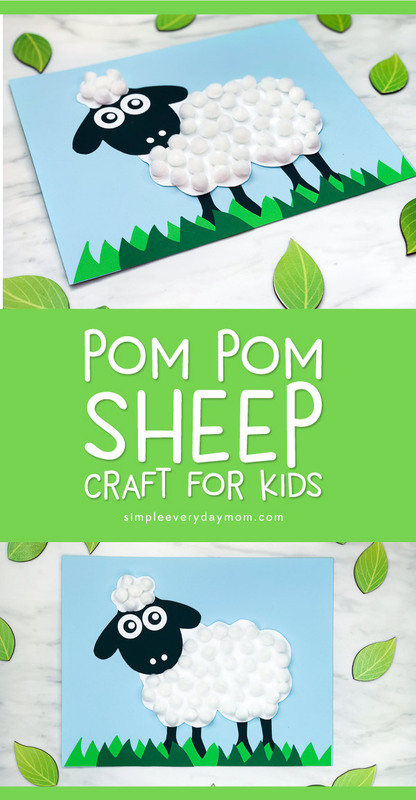 This sheep craft is really so simple and fun! 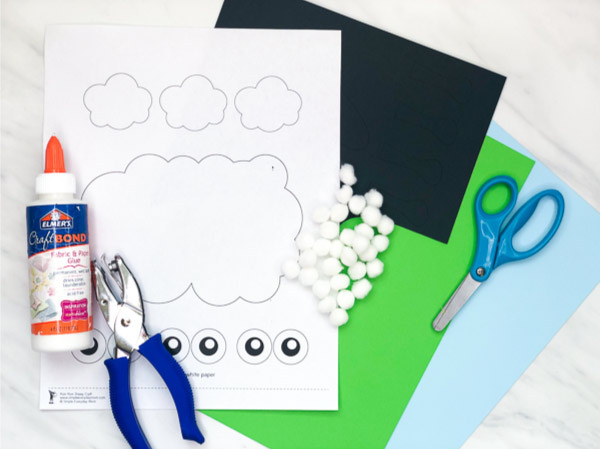 If you want to cut down on the number of supplies or want to make it a simpler craft for young children, you can always skip the pom poms altogether and make it just a paper craft. Don’t forget to enter your email in the form at the bottom of this post if you’d like to use the sheep template.